As much as the story focuses on serious issues such as power struggle and war between two different ideologies, there are some trivial issues that seems to be insignificant, but if they are not dealt properly, the effect will show up. People tend to judge based on what they can see and what is in front of their eyes is what they believe. In other words, people want to believe what they can see and avoid believing things that can’t be seen. This often lead to conflicts and confusion, and it can even cause a country to collapse. 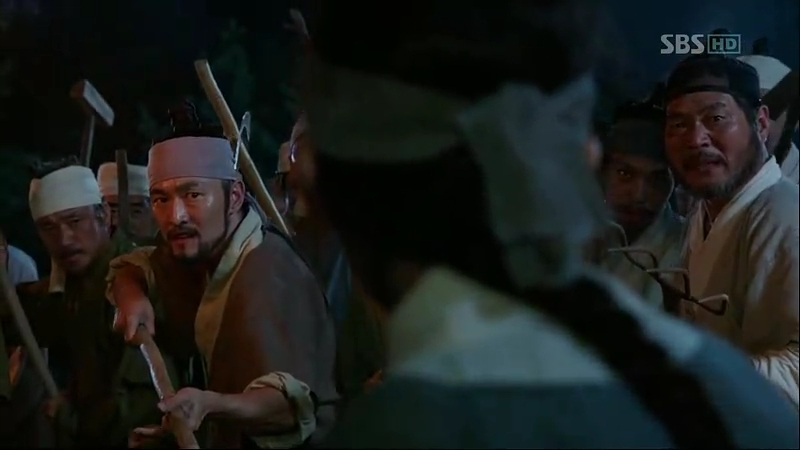 Sejong walks towards the army, with all the arrows aiming towards him. Luckily, none of them hit him and he greets his father. While Moo-Hyul runs towards his king, Sejong kneels down and begs for Taejong’s forgiveness and asks him to save him from any harm. Giving his promise to obey all his father’s orders and commands, Taejong says that Sejong isn’t sincere enough when he says all that. 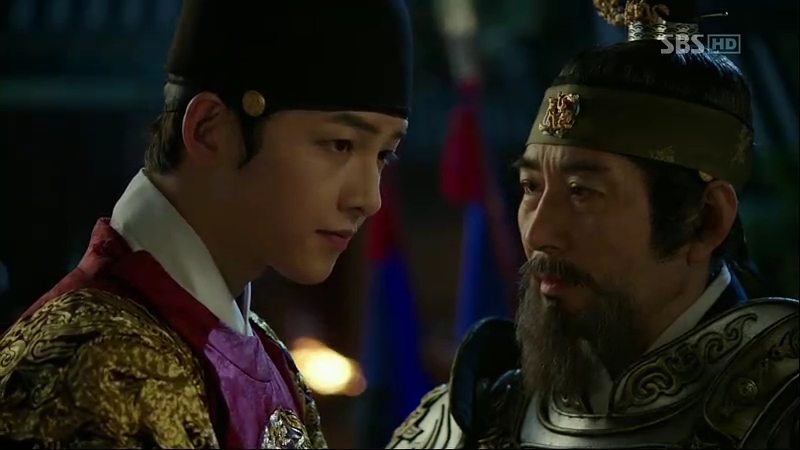 King Sejong bravely tells his father that he’s the King of Joseon and his father, although the Former King, should behave in front of him. Taejong asks him about the empty lunch box but Sejong denies it: he only receives the solution to his magic squares. This time, it represents an empty puzzle, unlike the one that Taejong demonstrates to him, with number one in it. Since number one represents Taejong himself, the empty puzzle brings the meaning of a Joseon without him; and Sejong takes the meaning as preparing for a time where Taejong will no longer exist. He then tells his father to acknowledge his interpretation rather than his own, as Taejong has no other person who can ascend the throne except him: Sejong. Taejong tells him that he must have found the answer to what kind of Joseon he’s going to lead. As Taejong is now holding the power to everything, Sejong tells him about his plan: to study and gather the scholars at a place. Taejong is curious about what his son is going to do, but Sejong just doesn’t want to tell him yet. Suggesting the name Jip-Hyun Jeon for the hall, Taejong inquires about it. Sejong tells him that he wishes to control the country using knowledge and army is only used to protect the country. By discussion and waiting, he plans to give everyone a chance, like in the magic squares, to fill in their respective numbers, and build their dream joseon, not just relying on the king alone. Taejong lashes him off with the idea that the king might be the puppet to the noblemen if he practices too much discussion and indirect power sharing. Then, Taejong tells him about the secret traitor society called Mil-Bon, suspecting that Jeong Do-Jeon’s nephew, Jeong Ki-Joon, is the mastermind behind it. Pretending to not remember anything about it, Sejong tells him that it’s all rumors. The Head Lady of Banchon, Do Dam-Daek, looks at a tag that was attached to Sam Bong’s forbidden book. It turns out that she’s one of the Mil-Bon people, and she gets hold of Mil-Bon’s book. One of her men complaints about Ddol-Bok’s unusual behavior and she tells him to starve Ddol-Bok for a few days to control him. Meanwhile, Sejong is still pondering about Jeong Ki-Joon, whether he’s the real mastermind behind it. 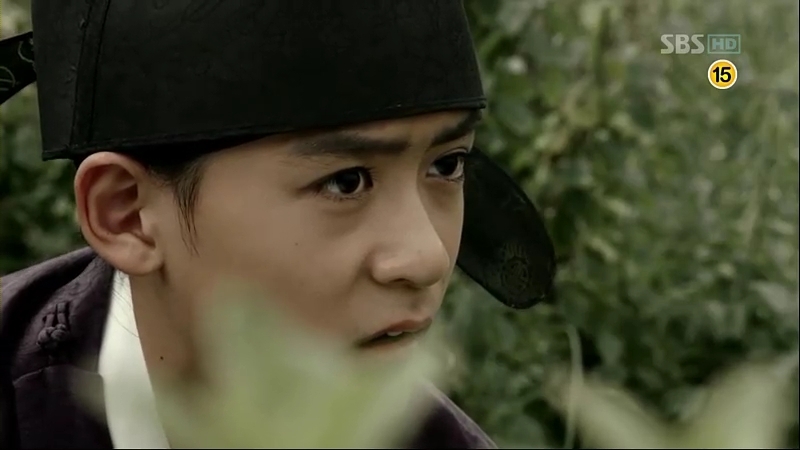 That brings him to his memory from nine years ago, when Taejong was still the king and he’s the Grand Prince Chungnyeong, Yi-Do. The royal examination was being held and a young man finished writing his script. He passed up his script and left, leaving Yi-Do to read it. Realizing that the script told about the current state of Joseon which has deviated far from the concept established by Sam Bong, Yi-Do knew that it could bring up Taejong’s anger and followed the young man, whose name was Jeong Ki-Joon. While he’s chiding the young man about his impolite word and writing, Taejong found out about what he wrote and ordered him to be captured. 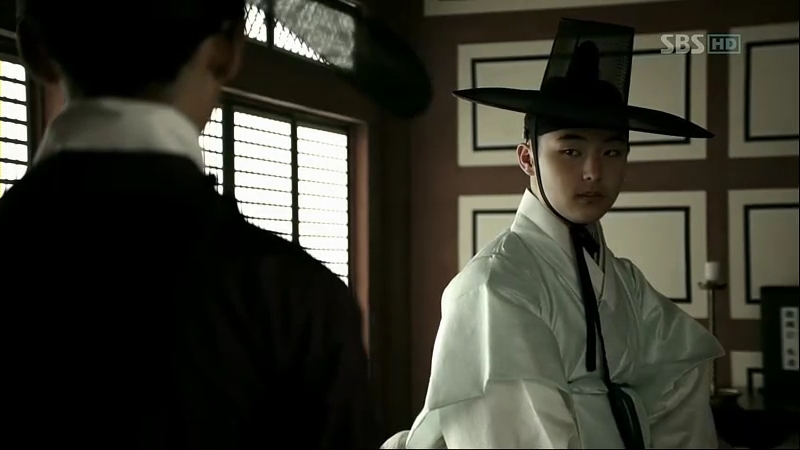 Jeong Ki-Joon looked down on Taejong, whom he regarded as a thief that stole away Joseon and its basic concept from Sam Bong, his uncle. Yi-Do, enraged with anger, punched him. He followed Jeong Ki-Joon to his house and witnessed people being killed from his father’s command based on a small reason. He tried to restrain him from surrendering himself to the guards but failed. As soon as Jeong Ki-Joon surrendered, he’s hit and Jo Mal-Saeng prepared to kill him. Yi-Do watched from afar, unable to do anything. Suddenly, his father, Jeong Do-Kwang, came and rescued him. 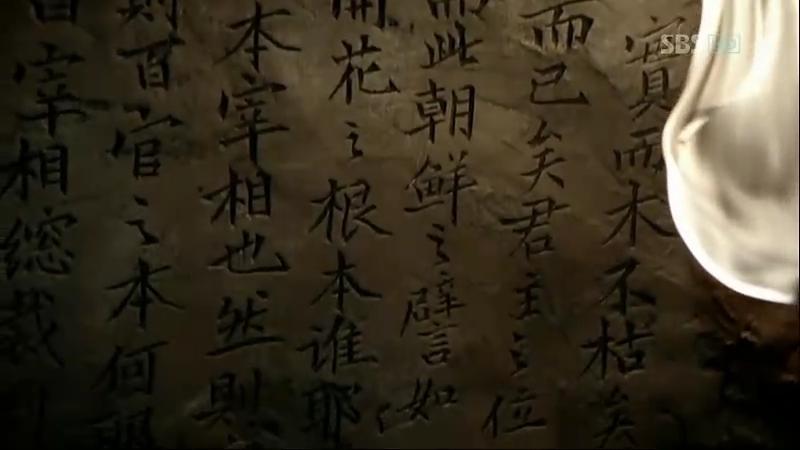 Yi-Do watched him escape while saying a sentence that haunted Yi-Do until the present: “You can’t do anything.” Sejong looks again at the script, and at the same time, Taejong, recollects his memory that he has about that time, where he first discovered about Mil-Bon, the secret society. 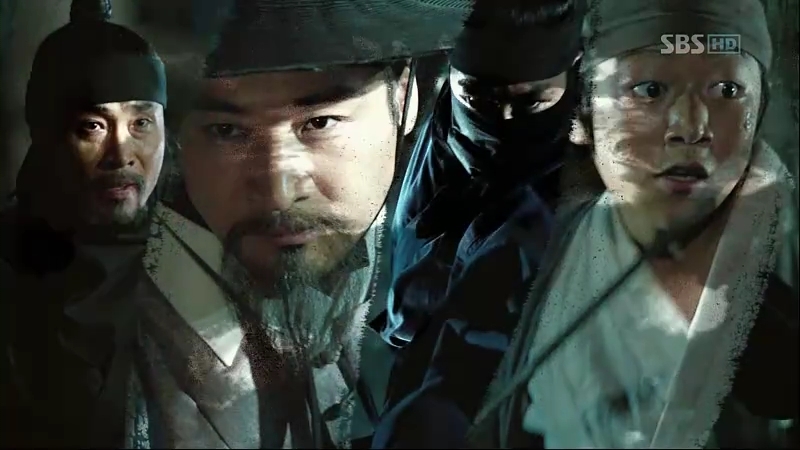 The guards, including Taejong himself, were searching for Jeong Do-Kwang and his son when he first encountered a secret tunnel under Jeong’s Residency. He discovered a wall written with a script, telling about the concept of the king as the flower and noblemen as roots of a tree. Considering a nation is like a tree, a nation could exist without flowers but it would fall apart when there’s no secure root holding it to the ground. Based on this concept, Sam Bong or Jeong Do-Jeon created the society to encourage people to be the roots to the Joseon tree. Taejong wasn’t that happy as the concept suggested that the power to run the country should be shared with, and most of the time, controlled by the noblemen. Taejong gets the information about Jeong Do-Kwang’s whereabouts from Jo Mal-Saeng and Sejong is thinking about saving him from any harm as he needs him in Jip-Hyun Jeon. 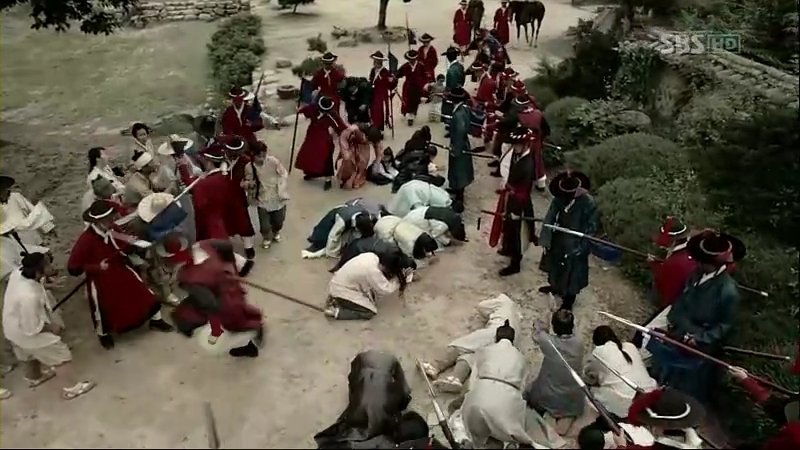 Taejong urges his men to kill him and his family at all costs, but with them possibly hiding inside Banchon, the army can’t just enter the area easily without Royal command. Taejong doesn’t allow Jo Mal-Saeng to enter Banchon but tells Park Eun to wait outside the area. Do Dam-Daek walks around Banchon towards Moon Sun-Gong’s shrine and he’s there: Jeong Do-Kwang. She shows him the Mil-Bon book that she found, written by late Jeong Do-Jeon. They decide that the time to re-establish Mil-Bon’s legacy has come. 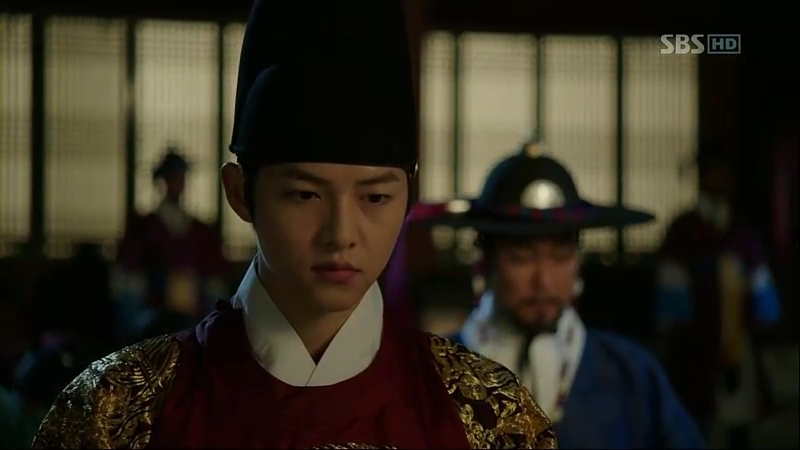 Jo Mal-Saeng receives the information about his whereabouts and orders the guards to enter the shrine secretly. 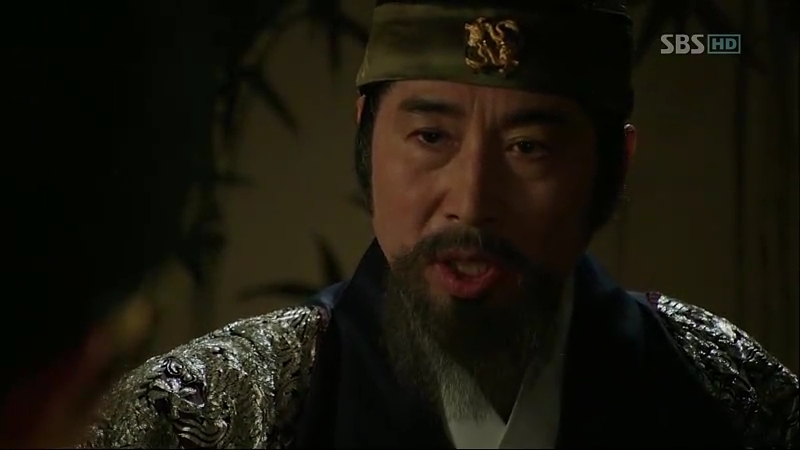 King Sejong is also informed about this and tells Moo-Hyul to save them. 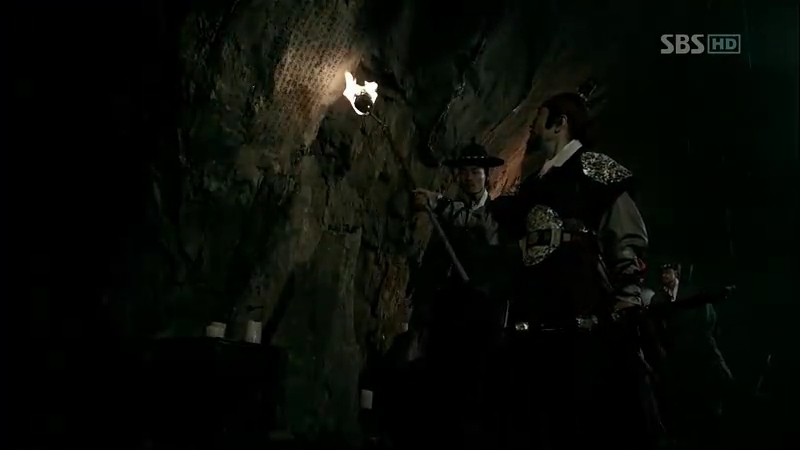 Meanwhile, Ddol-Bok tries to escape by burning the rope that ties him. He successfully escapes from the villagers and runs towards the shrine, almost at the same time the guards under Jo Mal-Saeng’s command penetrate the shrine. He’s about to enter the shrine when he’s suddenly standing in front of black figures: the guards. The villagers think that the figures are on the same side as Ddol-Bok, giving time for Jeong Do-Kwang and his assistant to escape. The battle starts and Ddol-Bok escapes amidst the commotion. He takes Jeong Do-Kwang’s horse and run away, not before the pouch from Dam-Yi that contains his father’s will is snatched from him. 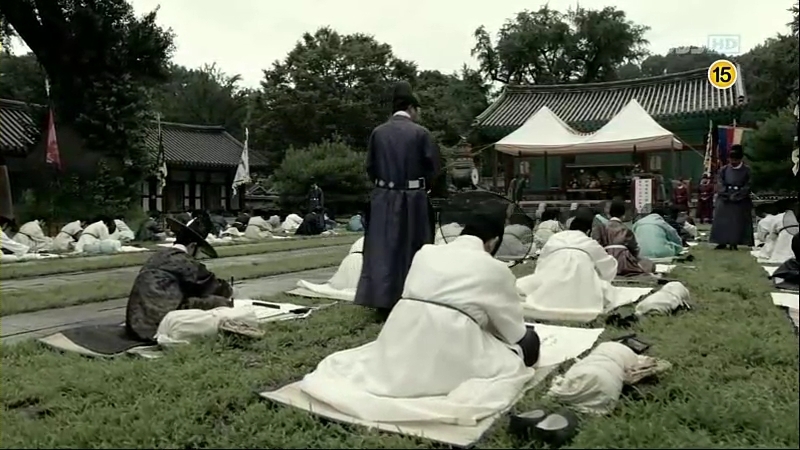 The guards under Park Eun have received information and they get ready to ambush the horses. 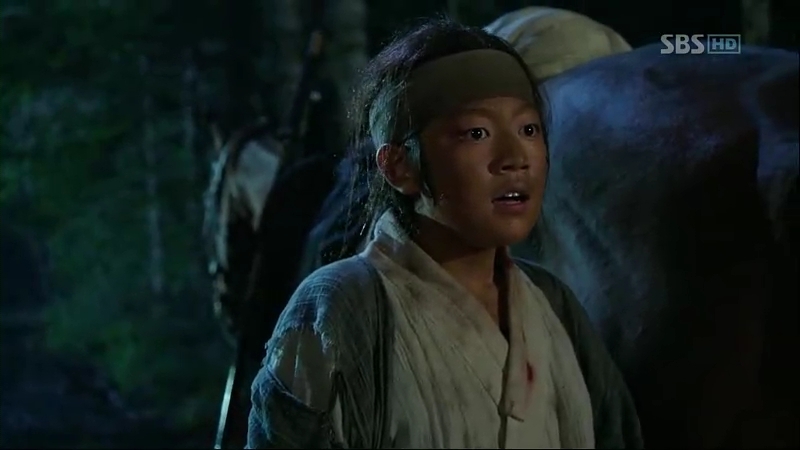 Jeong Do-Kwang realizes that the Mil-Bon letter is on the horse that Ddol-Bok took from him. Ddol-Bok runs back to find the missing pouch while Jeong Do-Kwang runs away from the guards. Also, Jo Mal-Saeng has tracked his location and on his way to catch him. 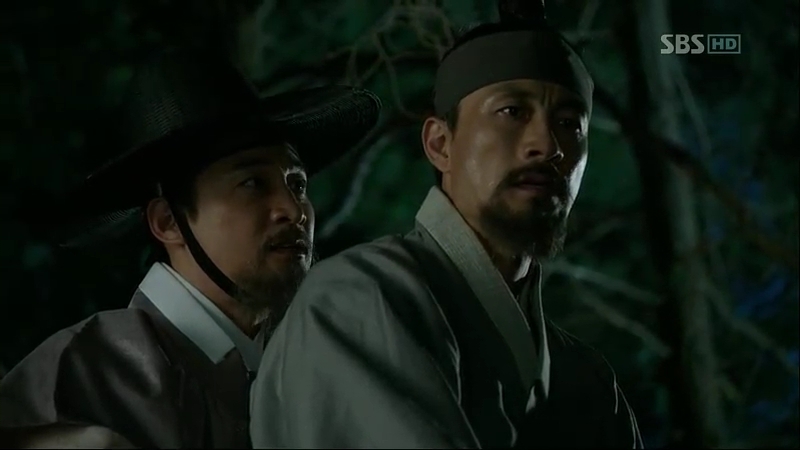 Secretly,at the same time, Moo-Hyul enters the forest to save Jeong Do-Kwang. Inside the Jang Seung forest, unknown to others, an entangled game of hide-and-seek has just started. The sudden wave of bravery of Sejong is probably driven by his growing confidence about his different ideas that he have. He is confident about his ideas of conducting Kyeongyeon (a discussion with the King) that could bring more benefits than harm. However, he is smart enough not to poke around Taejong’s sensitive issues and lets his father to do whatever he wants, as he knows that he’ll live longer than his father, thus giving him his own time to execute his plan. 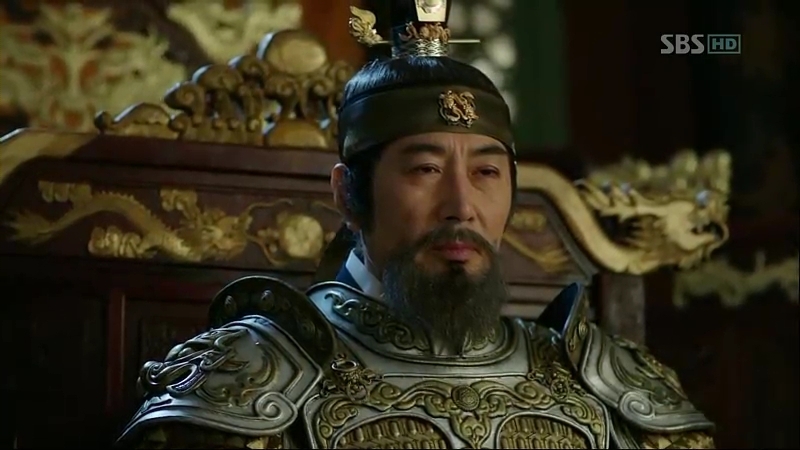 Although he’s basically giving all his positions to Taejong, he cynically states that whatever happens, he’s still the real King of Joseon and his father can’t do anything about it as he’s the only one who can take the throne. Taejong can’t do anything to Sejong as all the things that he’s done all this time are for the sake of his son. 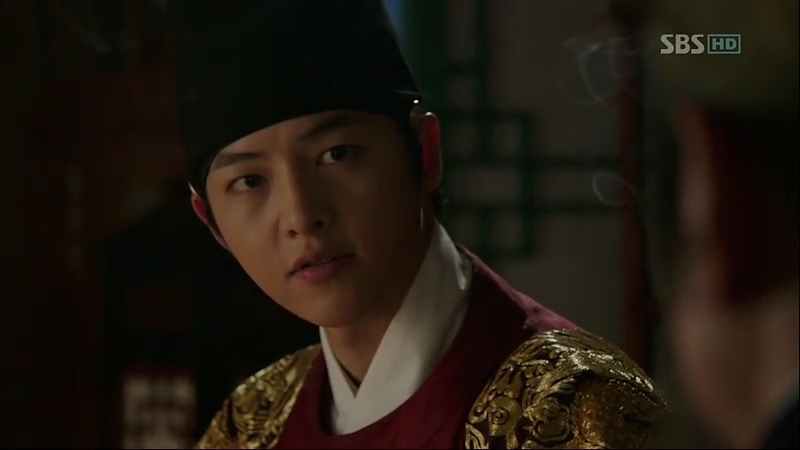 He’s also aware that Sejong is a brilliant young man and he can’t defeat him using force alone.